PS: I was reminded of this photoshop I created a couple of years ago by another line from Schmitt's story: "The death of an individual is also nothing but such a rat second, which has no content in itself--whether one of happiness or grief--but only in its historical registration." PPS: "F.K." in the quote about ghosts refers to Franz Kafka, not Friedrich Kittler. 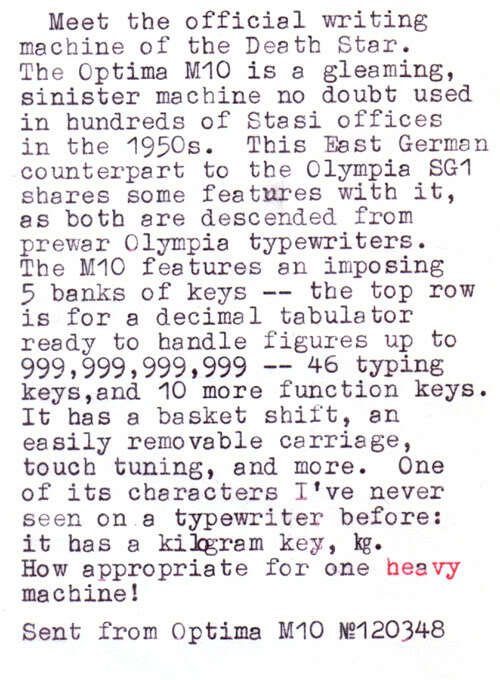 For one of my communications assignments, I chose to type one of my class presentations using a typewriter. I believe that this was the first time that I had ever seen a typewriter in person, so using it to type out an entire presentation was an interesting and completely novel experience for me. 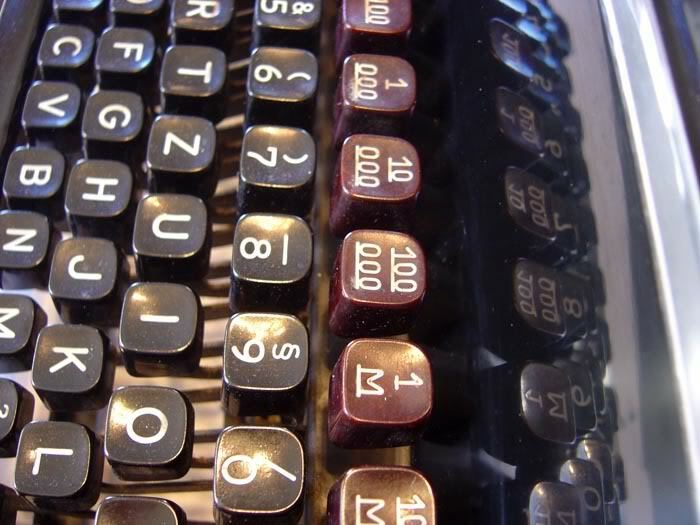 Before I began working on my presentation, I played around with the typewriter a bit so that I could figure out how it worked before I began worrying about making mistakes. 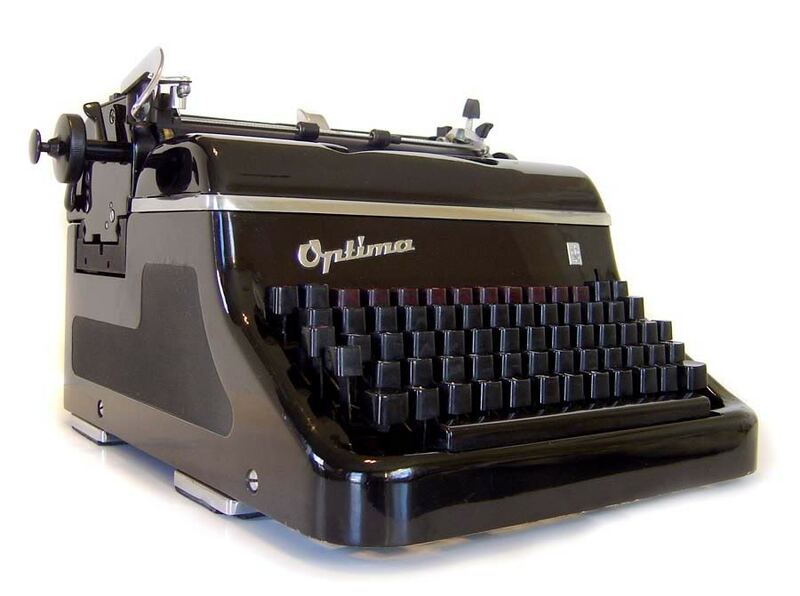 I found that how hard I pressed on the typewriter keys affected the boldness of the corresponding letters. I also realized that if I made a mistake, I could go back a space and try to type the correct character over the incorrect character that I had typed. Sometimes this method of fixing mistakes did not work so well because after trying to fix the mistake, it was still not obvious which character the new character was supposed to be. 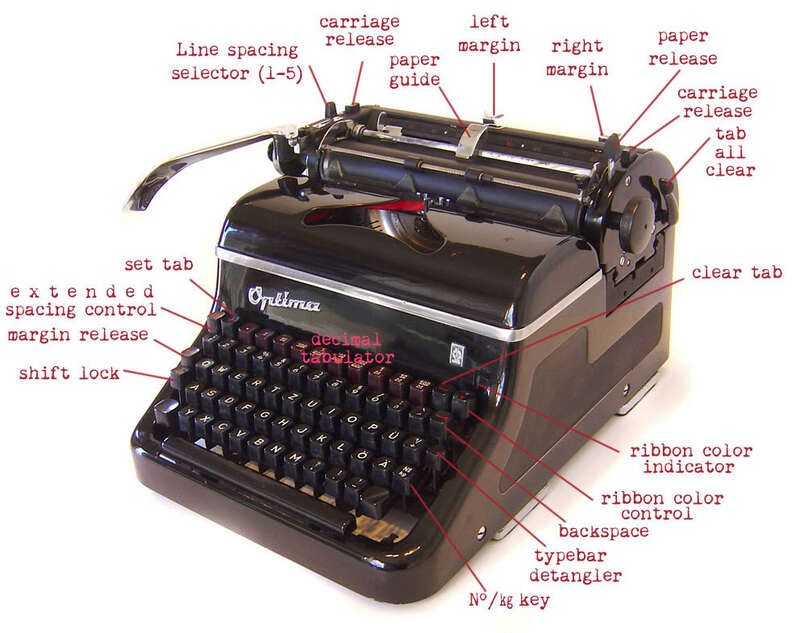 In this way, my experience with the typewriter differed from my normal experience because on a computer, all characters appear uniformly bold regardless of the pressure applied to the keys, and when editing a word processed document, it is simple to make the document appear as though an error has never been made on it in the document’s existence. 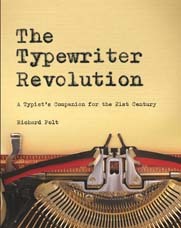 The main difference between typing a paper on a typewriter and on a computer that I experienced was the lack of a way to erase mistakes. 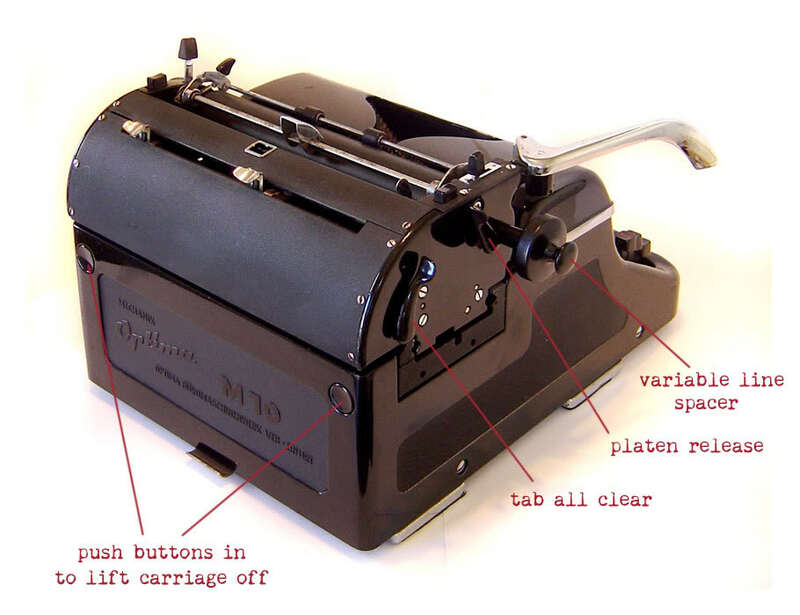 I typed out the first section of my presentation, the summary from the previous class, on the typewriter without writing it out somewhere else first. For this section, I found that it was much easier to think about what I was going to say because it was simply a summary of my class notes, and I felt confident that I would not need to edit what I was going to write. However, when I got to the point where I was ready to start my presentation on the readings for the next class, I decided that it would be most efficient to type out my presentation on a computer word processor first so that I would not have to worry about making many mistakes on a typewriter and not being able to erase them. I did so and printed out my presentation so that I only had to read off of it when I was typing it on the typewriter. I felt that this method was much quicker and less frustrating than having to think through my entire presentation before putting it onto paper. 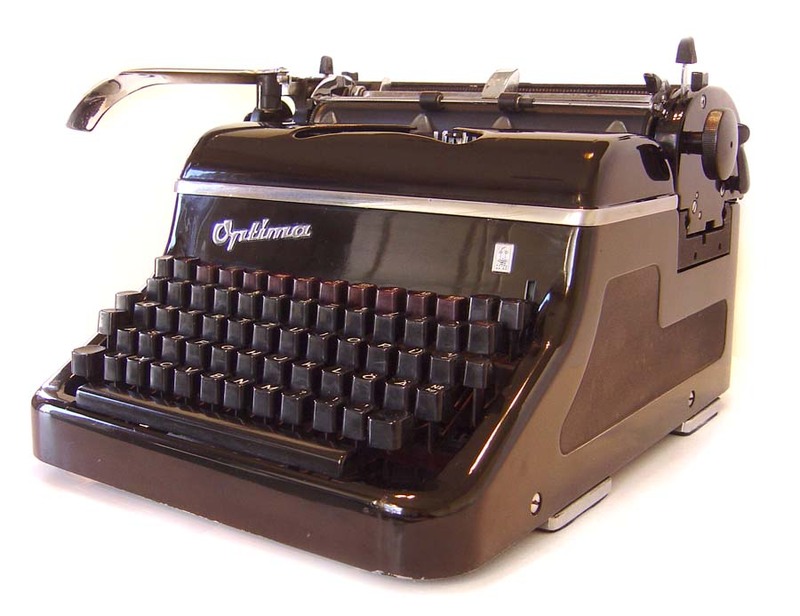 In this way, using a typewriter did not really affect what I was thinking because I was able to perfect what I wanted to say by word processing it before I had to worry about typing it out perfectly. 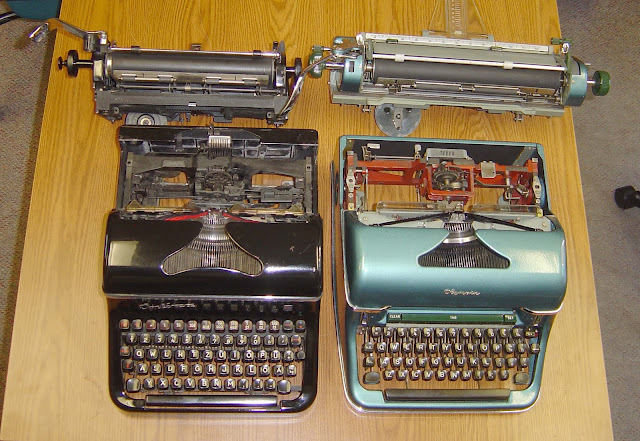 As a followup to yesterday's post, here's a photo comparing the Optima M10 to the Olympia SG1. It's VEB vs. AG! (Volkseigener Betrieb = "people's enterprise" vs. Aktiengesellschaft = corporation.) Click to enlarge. And here is the Optima family of the '50s: the big M10, the mid-sized Super, and the little P1.